My wife and I retired to the island of Crete in 2006. I have always been interested in mosaics and now in our fifties and retired I now have time to pursue this passion. I have done tables, coasters and more which have all been sold. 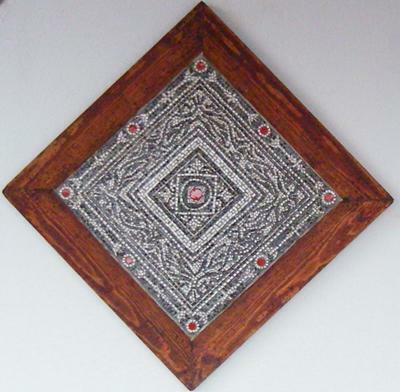 This is a picture of a micro mosaic, about 12 inches, which I have hanging on my outside wall. The problem I have in Crete, believe it or not, is acquiring the right coloured tiles for my projects. I very often have to send for my tiles from England and Holland.